Tales From Bottomley Cottage: The Liebster Award! I feel honoured. 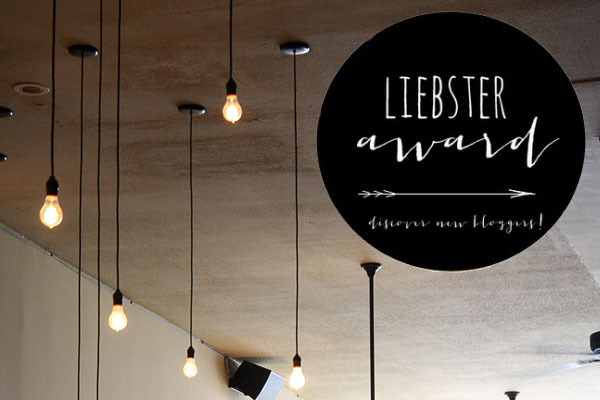 Ella from Paper Umbrella blog just nominated me for the Liebster Award! She is such a lovely lady. I recently started following her blog and it's filled with beautiful photos and fun ideas. She has such wonderful projects on the go, not to mention she is incredibly sweet and kind! Plus, she lives in Portland which automatically makes her so cool :) . I had to research a bit more on the Liebster award, but basically it's an award given to blogs with under or around 200 followers (the rules have changed a bit over time!) It's a chance to get new blogs out there and also learn more about bloggers! I'm happy to be a part of this little way to connect with others. 5. Let your nominees know that you have nominated them! Tell me the story of your blog name! I started this blog initially as a project to motivate me to be creative and also as a type of journal. I had just moved out of dorm and into a a rental house with a few roommates in the city of Saskatoon, SK. We all came to love the house with all of the character features of an old home. It had a lot of charm and we happened to live on Bottomley Ave. It soon became known as Bottomley Cottage to everyone that knew it and although I don't live there anymore, the name just stuck for my blog! In some ways, I think Bottomley Cottage just means home for me, so it will follow me wherever I go. Coffee or tea? And why? Coffee! Every morning I drink a cup. And not the good stuff, oh no...definitely the cheapest one we can find at Costco. Because we're trying to save money for France! If you could go back five years and give yourself one piece of advice, what would it be? "Stop worrying so much about being single and try to enjoy it. Because you will eventually meet the most loving and caring man you know. He will love you in a way that you have not known and will make you laugh every single day!" Where would you live if money/jobs/distance from family and friends didn't matter? Somewhere in Europe, I think. Maybe England or France. Or the east coast of Canada. My heart remains in Prince Edward Island. Hmmm. That's hard to say because I get tired of things so quick. But I have realized that as much as I love dresses, I will always vote pants- those cord leggings from the Gap which are ever so comfy. And a really cozy sweater. I like being comfy cozy. I think that people have related me to a deer. Quiet, timid, gentle, playful, and somewhat sneaky! I am in love with peonies, ranunculus, daisies, and lavender. (But it's so hard to pick because I love a LOT of flowers). What's your favorite thing to blog about? Lately my blog has turned much more into a documentation of what I'm working on artistically, but I do like creating posts from pictures I've taken documenting life. 2. If you could play any instrument, which would you play? 3. What’s the one sound that drives you crazy? 4. What book has had the biggest impact on you? 5. Where (& what) do you most often find yourself singing? 6. What’s your favorite thing to do on a rainy day? 7. What’s your favourite childhood TV show? 9. If you could live in one city for the rest of your life, where would you live? 10. What is your favourite thing about the blogging community? And that's all, folks! 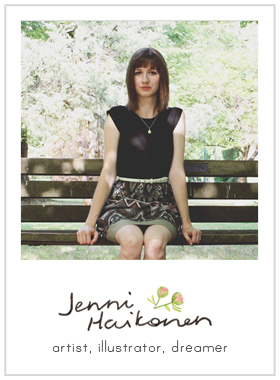 Have a look at some of these ladies' blogs and help build up the blogging community!